Summary: Researchers report both people with synaesthesia and those on the autism spectrum share similar heightened sensory sensitivity. Concrete links between the symptoms of autism and synaesthesia have been discovered and clarified for the first time, according to new research by psychologists at the University of Sussex. The study, conducted by world-leading experts in both conditions at Sussex and the University of Cambridge and published in the journal Scientific Reports, found that both groups experience remarkably similar heightened sensory sensitivity, despite clear differences in communicative ability and social skills. Two previous studies had found an increased prevalence of synaesthesia in autistic subjects, suggesting that although they are not always found in conjunction, the two conditions occur together more often than would be expected by chance alone. However, this is the first study that has attempted to draw a definitive symptomatic link between the two. Synaesthesia and autism seem on the surface to be rather different things, with synaesthesia defined as a ‘joining of the senses’ in which music may trigger colours or words may trigger tastes, and autism defined by impaired social understanding and communication. The new research shows that both groups report heightened sensory sensitivity, such as an aversion to certain sounds and lights, as well as reporting differences in their tendency to attend to detail. However, the synaesthetes tended not to report difficulties on the traditional communicative symptoms that usually define autism. While the research shows that there are certainly links between the two conditions, these appear to be sensory rather than social. The study was led by Professor Jamie Ward, Professor of Cognitive Neuroscience and Co-Director Sussex Neuroscience group, alongside Sussex Psychology colleague, Professor Julia Simner; and Professor Simon Baron-Cohen, Professor of Developmental Psychopathology at the University of Cambridge and Director of the Autism Research Centre. “Synaesthesia has traditionally been considered more of a gift than an impairment, whereas the opposite could often be said of autism. Our research suggests that the two have much more in common than was previously thought, and that many of the sensory traits that autistic people possess are also found in those who experience synaesthesia. Synaesthesia and autism seem on the surface to be rather different things, with synaesthesia defined as a ‘joining of the senses’ in which music may trigger colours or words may trigger tastes, and autism defined by impaired social understanding and communication. NeuroscienceNews.com image is credited to Ben Husmann. Another research paper by the group of researchers, looking more closely at the question of savantism in people with autism, is also due to be published soon. Reinforcing their initial research, it shows that synaesthesia tends to be particularly prevalent in people with autism who also have unexpected ‘savant’ abilities, such as superior abilities in arithmetic, memory and art. Prof Ward added: “Though some theories propose a causal link between increased sensory sensitivity and impaired social functioning in people with autism, our research so far demonstrates the value of considering synaesthesia on the same spectrum as autism from a sensory point of view. The paper regarding synaesthesia and savantism – ‘Is synaesthesia more prevalent in autism spectrum conditions? Only where there is prodigious talent’ – is due to be published in the journal Multisensory Research later this month. Image Source: NeuroscienceNews.com image is credited to Ben Husmann. University of Sussex “Pinpointing Sensory Links Between Autism and Synaesthesia.” NeuroscienceNews. NeuroscienceNews, 7 March 2017. University of Sussex “Pinpointing Sensory Links Between Autism and Synaesthesia.” http://neurosciencenews.com/autism-synaesthesia-6212/ (accessed March 7, 2017). Several studies have suggested that there is a link between synaesthesia and autism but the nature of that link remains poorly characterised. The present study considers whether atypical sensory sensitivity may be a common link between the conditions. 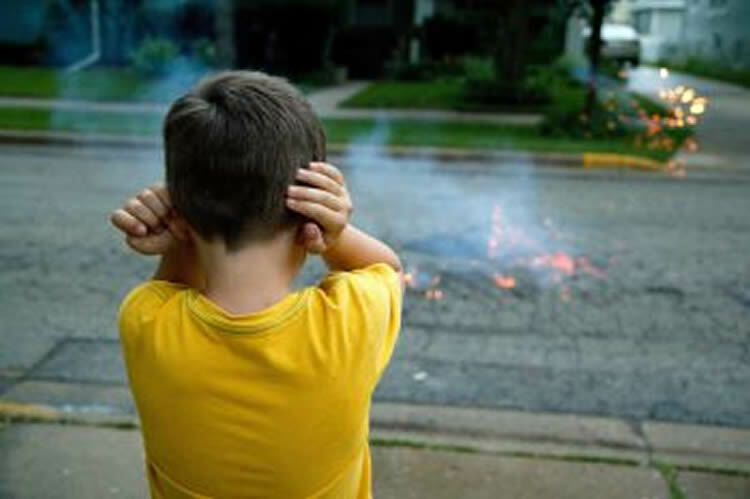 Sensory hypersensitivity (aversion to certain sounds, touch, etc., or increased ability to make sensory discriminations) and/or hyposensitivity (desire to stimulate the senses , or a reduced response to sensory stimuli are a recently introduced diagnostic feature of autism spectrum conditions (ASC). Synaesthesia is defined by unusual sensory experiences and has also been linked to a typical cortical hyper-excitability. The Glasgow Sensory Questionnaire (GSQ) was administered to synaesthetes and people with ASC. Both groups reported increased sensory sensitivity relative to controls with a large effect size. Both groups also reported a similar pattern of both increased hyper- and hypo-sensitivities across multiple senses. The AQ (Autism-Spectrum Quotient) scores were elevated in the synaesthetes, and one subscale of this measure (attention to detail) placed synaesthetes within the autistic range. A standard laboratory test of visual stress (the Pattern Glare Test), administered online, corroborated the findings of increased sensitivity to aversive visual stimuli in synaesthetes. We conclude that atypical sensory sensitivity is an important shared feature between autism and synaesthesia.